Technology has caused a major shakeup of the entertainment industry over the last decade. Americans are embracing streaming video boxes, electronics manufacturers are aggressively pushing next-generation 4K television technology and content providers are offering more “television everywhere” options than ever before. But which of these trends are lasting, and which are all marketing hype? This week, the folks over at StreamingMedia.com released their The State of Media & Entertainment Video 2015 report. It takes a look at the top technology trends of 2014, the promises of 2015 and what 2016 and beyond may have to offer. Here’s a summary of what it reveals. Interest in streaming boxes is growing. Last year was a big one for streaming boxes, as more consumers moved to connect Apple TV boxes, Rokus, Google Chromecast sticks and more to bring smart TV features to their living rooms. New devices joined the mix too, including the Amazon Fire TV streaming box and Fire TV stick. Roku also introduced the Roku TV to the market, a smart TV with Roku software built right in. 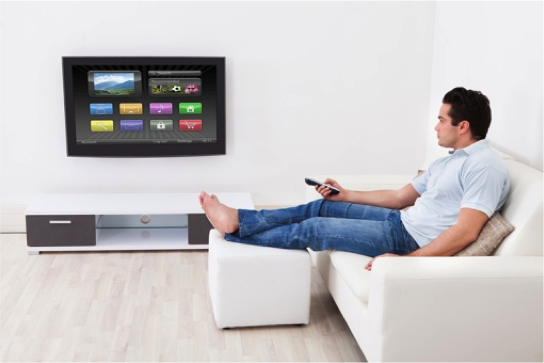 It’s expected that 2015 will be a transitional year, with even more consumers purchasing these streaming boxes and sticks to ready their homes for streaming video enjoyment. Roku is the dominant streaming player in the market right now. Chromecast follows in the number two position, while the long-available Apple TV is third in market penetration. Streaming sticks (Roku, Chromecast) are gaining steam because of their small profile and wire-free design. Yes, they lack the processing power of their console box cousins, but the difference is largely negligible and hard for the average American to notice. 4K television growth will be limited this year. At this year’s CES 2015 electronics show in Las Vegasp HD. A few even had 8K TVs on display. But The State of Media & Entertainment Video 2015 report suggests that growth in the 4K TV market will be limited this year due to a lack of customer demand. The low availability and high cost of required 15Mbps Internet speeds is also an issue, as is the cable industry’s move toward data caps. Viewing: Not just for TVs anymore. Another big trend in 2014 was the move toward TV everywhere (TVE). All three major networks – ABC, CBS and NBC – now offer options for viewing live content and full episodes on mobile devices. Many other channels are available for viewing too, but most require authentication with a cable TV provider, making it difficult for true TV enthusiasts to cut the cable cord. That’s not to say there aren’t a few free viewing options though – the Comedy Central app, for example, offers the previous night’s full episode of The Daily Show to anyone who downloads it. Dish Network’s new Sling TV Internet-delivered TV package ($20/month) is an interesting option for cord cutters, but the selection of channels is still somewhat limited. StreamingMedia expects this shift toward TVE to continue in 2015. Cable providers offer their own TVE apps, but so far, the experience isn’t very good. Instead of having a single Comcast or DirecTV app on your phone, you’re more likely to have a handful of individual channel apps instead. This will provide channels with more data about viewers’ TV habits, which should lead to better, more targeted programming in the future. You can read the full The State of Media & Entertainment Video 2015 report by visiting StreamingMedia.com.